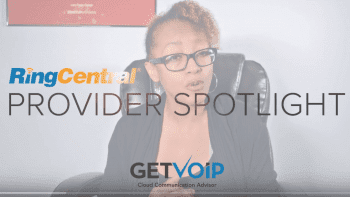 On this provider spotlight, we came out to the Phone.com corporate headquarters in Newark, NJ, to interview Joel Maloff, the Senior Vice President of Strategic Alliances and Partnerships. Phone.com’s customer service and transparent pricing model makes it easy for any small business unfamiliar with VoIP to dive in head first and start getting all the benefits of a hosted PBX. Phone.com started as a small startup with mostly outsourced staff, and has grown to having US-based support on both coasts, and has been recognized by both INC Magazine and Deloitte as one of the fastest growing companies in America. Phone.com offers 50 customizable features that level the playing field for the smallest businesses to have the same communication tools as the largest enterprise companies. 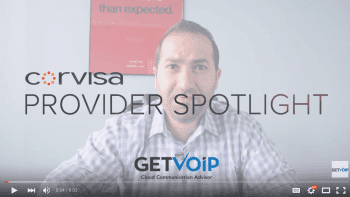 They even throw in many features for free that are premium features for other providers, like conference bridge, paperless fax, and voicemail transcription. In this interview, you’ll learn about the origins of Phone.com, see what their plans are for the future, and find out just what a Senior Vice President of Strategic Alliances and Partnerships really does. Learn about how Phone.com is able to attract small businesses, and what the company’s strengths really are. Plus, you’ll learn some cool facts about Joel himself and about Phone.com. How did Phone.com get started? Phone.com is one of those unique cases where the domain name came first. 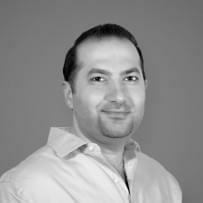 One of our founders owned the domain name, and it was determined that we needed to build a company around it, so they brought in our CEO Ari Rabban, he built the organization. We worked with a technical group initially outsourcing the technology components in San Diego and then ultimately brought those in house. We still have a San Diego office, and now we have a Newark, New Jersey office. What’s something consumers may not know about Phone.com? One of the interesting features that we have is that every business customer that signs up with us gets a conference capability. They can setup in multi-party conference call, they have their own number assigned, their own passcode so they can have a 20 person conference call as part of our service. What three words would best describe Phone.com? The first one that I would say is ‘responsive’. We pride ourselves on listening to our customers in the marketplace. The second would be ‘agile’, because we’re small, but we’re very flexible and we want to be able to meet the needs of the market. The third one is really an inside joke, which is ‘awesome’. We provide awesome service and as you can tell, I’m probably not of the awesome generation, I’m the sage advisor, so awesome to me is a little bit overused, but we really believe in it. In what area of Phone.com do you expect the most growth in the next 12 to 18 months? Their are 2 areas. One is modernization of our network infrastructure. In this particular business you’re only as good what you did in the last month or so, in terms of technology. It is changing so quickly and whether it is security, I have a master’s in information system security, we have to be on top of things. So we are completely revamping our internal infrastructure and systems to make us more agile and more flexible. We also are going to be focusing more on business customers that range in size from 5 lines up to 50 lines. That’s our sweet spot and our focus. We’re going to continue building new service offerings, and new enhancements to address those markets. We try to make it easy and intuitive. When someone comes to our site we want them to understand the features we offer, the pricing we offer. We than have customers service that are available via live chat, via telephone. We do have the inside Salesforce, that I am now responsible for, that if it’s a larger opportunity something that’s a little bit unusual, we will work with them to try to figure it out. What’s one thing that Phone.com is known for, over your competitors? Actually customer service. Our customer service team has received numerous awards. Our director of customer service and customer service manager both are considered in the top 100 contact center influencers in the country. We are doing customer service on both the west coast and the east coast with US-based personnel. We don’t have anyone overseas, we did for a while, outsource some of that and now we brought all of that in-house and believe that is one of our strengths. Can you explain Phone.com’s pricing model for a 5 line service on your popular plan? The short answer is yes, but each customer is custom. As an example we have a base plan and let’s say it’s a business that has five people, but they’re not on the phone all the time, we would set up that base plan, which has a base price of $10 and that comes with a package of minutes, and then if they exceed those minutes it’s a per minute charge for that, pretty standard in the phone business. However, we also have a large number of requests for people that want a budget-able number, I want to know how much I’m going to spend, so I want unlimited, so we have unlimited extensions, and depending on volume, the starter price for one line is $23.99, they go down in volume. So if you’ve got 20 lines or more the list price is $19.99. Can you tell us about one of Phone.com’s recently announced features or your most popular feature? We have something that we’ve started a business relationship with a company that has vanity local phone numbers, so you’ve probably seen vanity numbers for toll free but imagine that you are able to get your (561), your first initial and your last name as a vanity number (EX: (561)JMALOFF)). We can now do that through our new partner, its incredible. Whether it is the name of your business type, a product, or even your name. Instead of signing up for service and getting stuck with (212)555-9031, which means nothing, you can look for a vanity number and get that number that really works for your business, so we are excited about that. We’re partnering with a company that lets us do that. It will be available nationwide. Obviously if someone is interested in that, right now that functionality is not yet searchable on our website, it will be. Contact us and we will help you, tell us what you want we’ll look for it for you. Is there something you’d like to add as must know about your company for potential customers? Yes. I think the most important thing is that we try very hard to be easy to do business with, and we want our customers to know that they are wanted. We are not one of these large companies where if you call customer support you’re going to get bounced around to 27 different people, we’re easy to do business with. The other part is, that for many business that may not be highly technical, they may not be intimately familiar with Voice-over IP. You don’t need an IT person to set this up. We do all the heavy lifting for you and whether there are issues with your existing internet connection service, your routers, firewalls, we have people designed to help wwork through that with you. We want to be easy to do business with, don’t be shy, let us help. Click Here for Phone.com Consumer Reviews.